How You Can Save The World: Sustainable Living and Social Activism: How to Stay Cool in the ENDLESS Heat, update! So, ready? 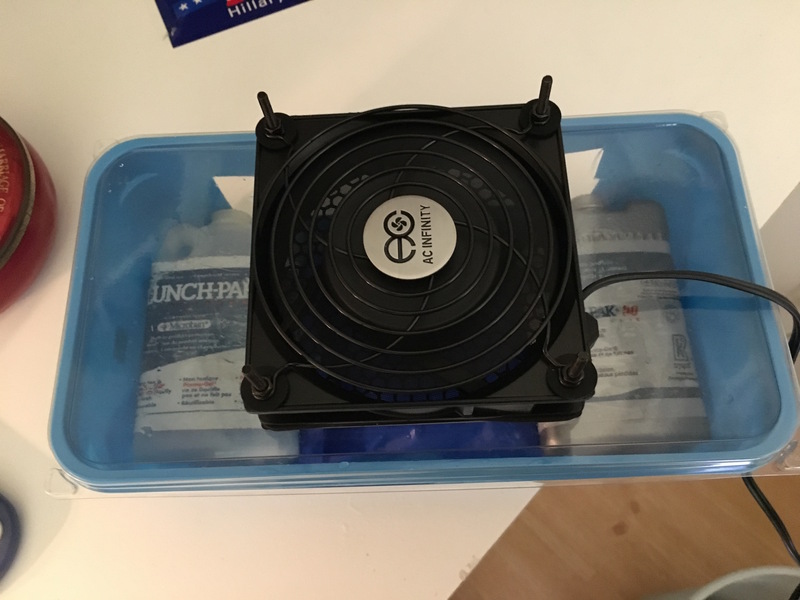 Lets build a mini air cooler. 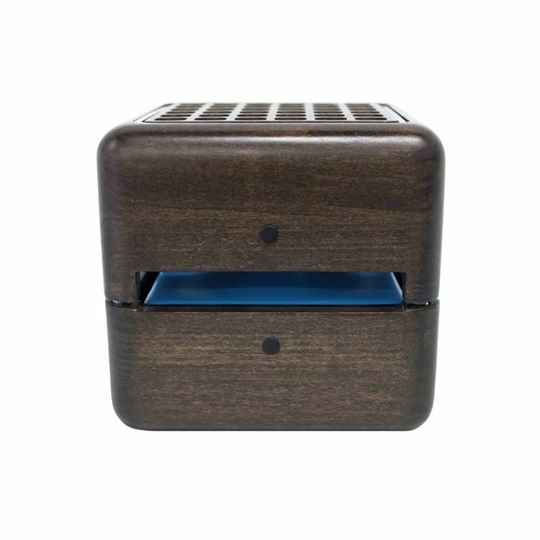 This little handy dandy device is wonderful on your desk top, next to your bed, or even just next to an armchair where you might be reading...what? Say an organic gardening magazine! (A MAGAZINE? Who in their right minds reads one of those anymore?) Still. You get my drift. Drift. A nice cool drift of refreshing air coming your way...sounds good right? Ok. Here's what you need. A BIG box of Swiffer wet floor mop pads. 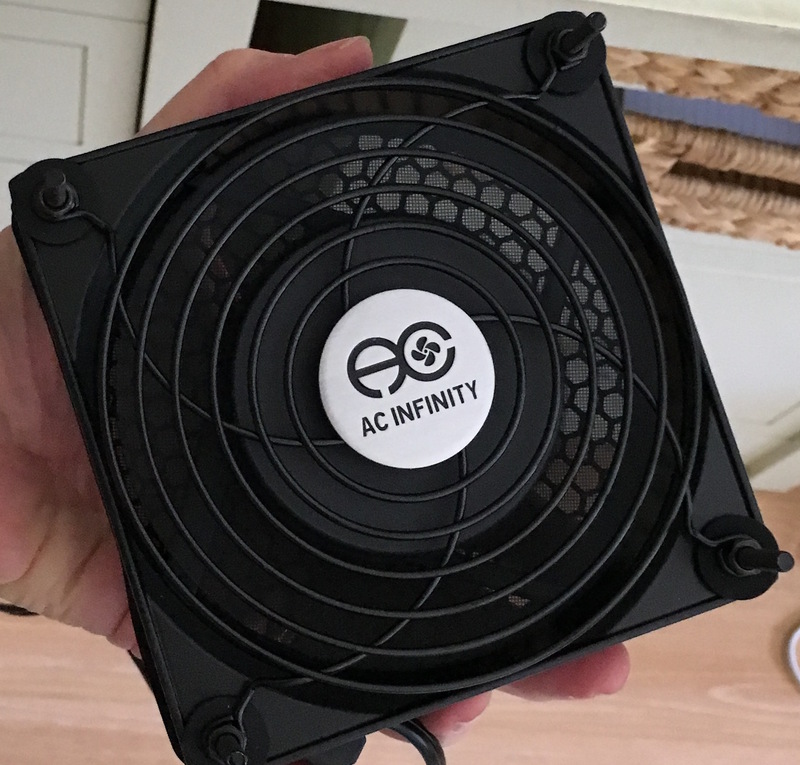 I usually don't advise buying anything plastic, or disposable, but after casting around for a suitable box that would EASILY make an air cooler, landed on this. Plus...you can use all those swiffer wet cloths to mop up spills without feeling guilty about adding to the trash in a landfill because YOU WILL BE USING the plastic box AND THE LID that the cloths came in forever! 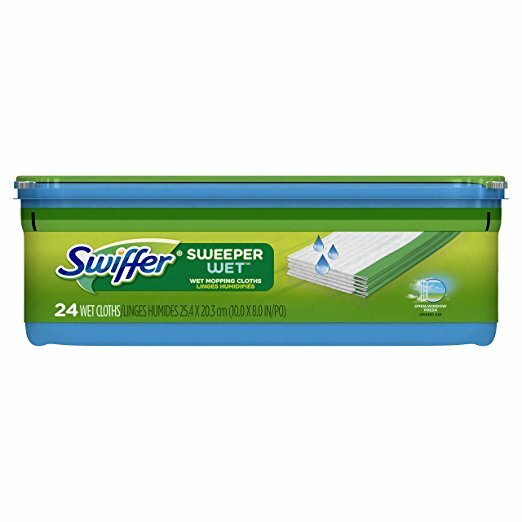 Here is a lovely image for you to appreciate of the Swiffer --you want the 24 cloth size. bigger box. The cost of that is $7.99. Here is a photo of it. Just to encourage you. See how cute it is? Anyway. Order it. it costs all of $18.99. Whoops you also need to purchase some of those mini refreezable things you stick in lunchboxes. I'd go ahead and buy 6 of them. That way...you can always have some re-freezing in the freezer, while you are cooling off with the additional set. If you did buy a case...you get 24 re-freezable ice packs for 24.00. But of course, you can get just 2 or three in any market in the land. Now...here is what you do. Use up the swiffer wet mop cloths. Rinse out the container. Take a sharp scissors. Cut out a 3 1/2 inch by 4 inch square in the center of the see through plastic lid of the swiffer box. Open the box your fan came in. Assemble it. (Takes one minute...basically you are just screwing the covers onto the fan, and sticking the plug into the socket). 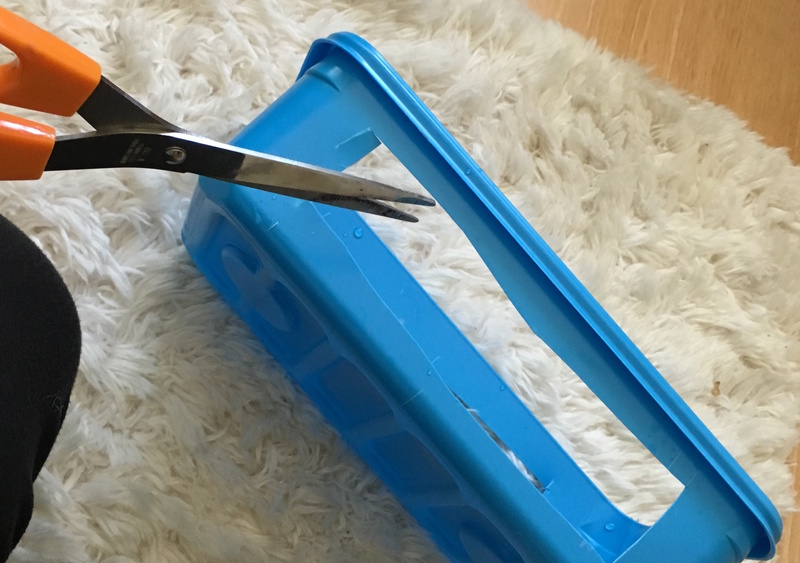 Take your sharp scissors and cut rectangles out of the 2 LONG SIDES of the blue plastic swiffer box. 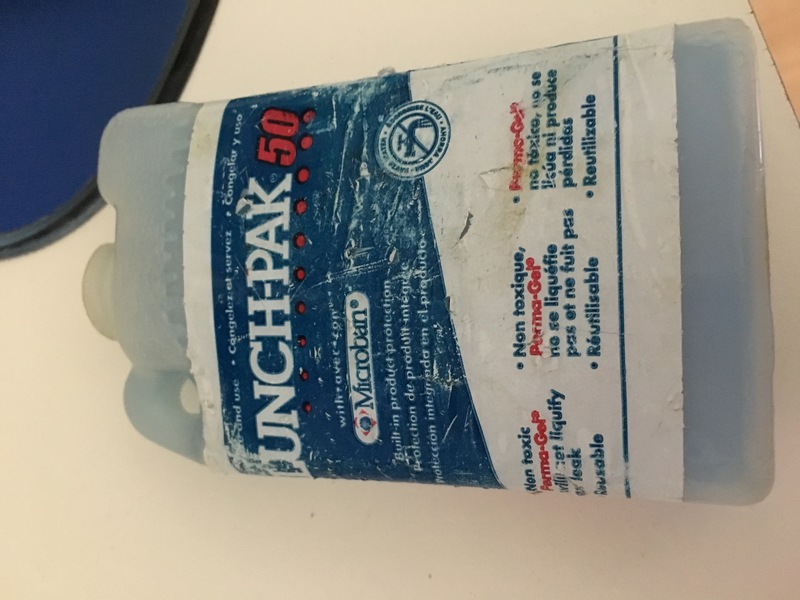 Take three of your frozen refreezable lunch things and lay them next to each other inside your swiffer box. Put lid on box. 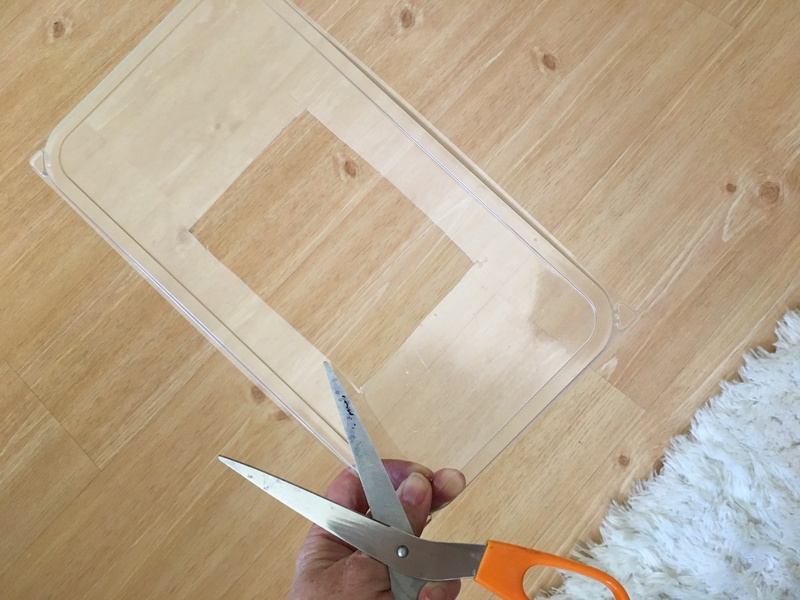 Lay fan down on top of the hole you cut in the plastic lid. Put box wherever you want it. 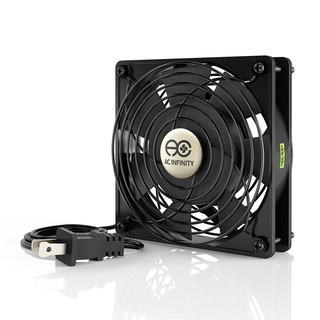 Plug in fan. Cool off. All of 15 minutes to a nice afternoon of nirvana. 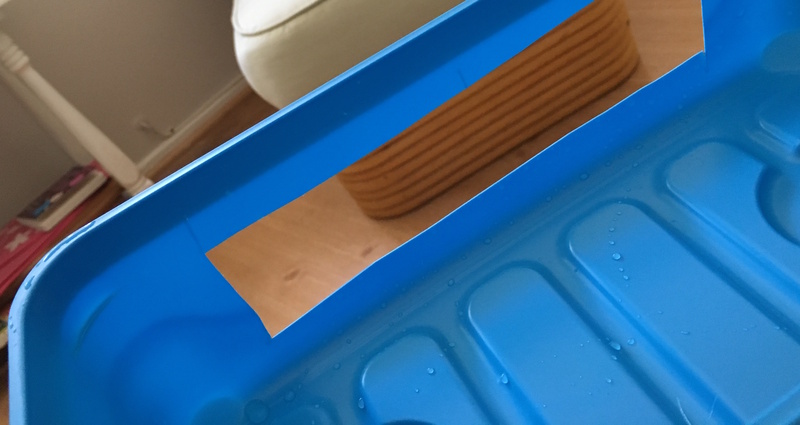 Oh...and the little blue ice blocks will sweat, and condensation will collect beneath them in the plastic box. 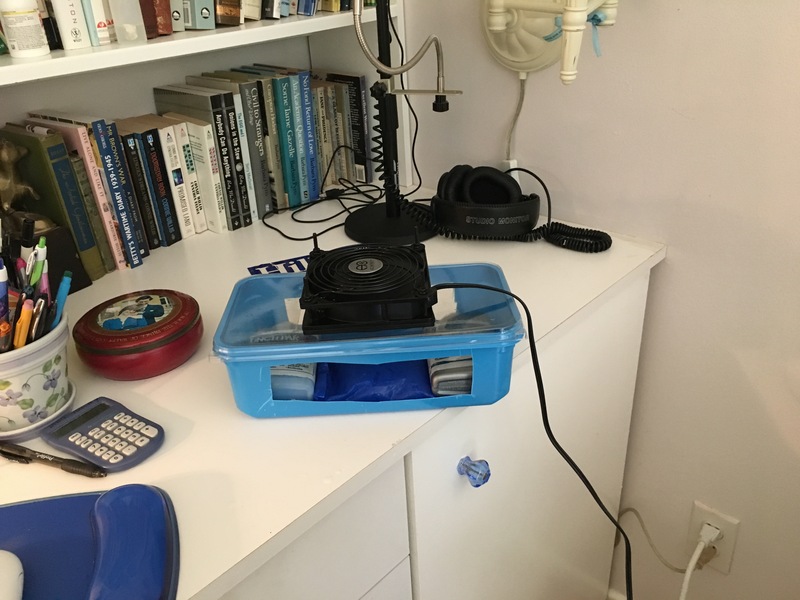 I put a washcloth in the bottom of the plastic box to collect up the moisture. Remember, electricity and water are a BAD combination. So make sure you keep your fan above the blocks and all shall be well in the land. ONE OTHER COOLING OFF TIP for a hot night! I made rice bags out of brand new clean cotton tube socks. To do this...buy the socks...pour in rice till foot part of sock is nice and full. Tie the top of the tube sock in a knot. Put the sock in the freezer. When it is cold, pull it out, and drape around your neck, or if sleeping over eyes. Rice in the sock will stay cold for about an hour. BUT, if you make two or three, again, you can always rotate them in and out of the freezer as needed. ONE LAST TIP. 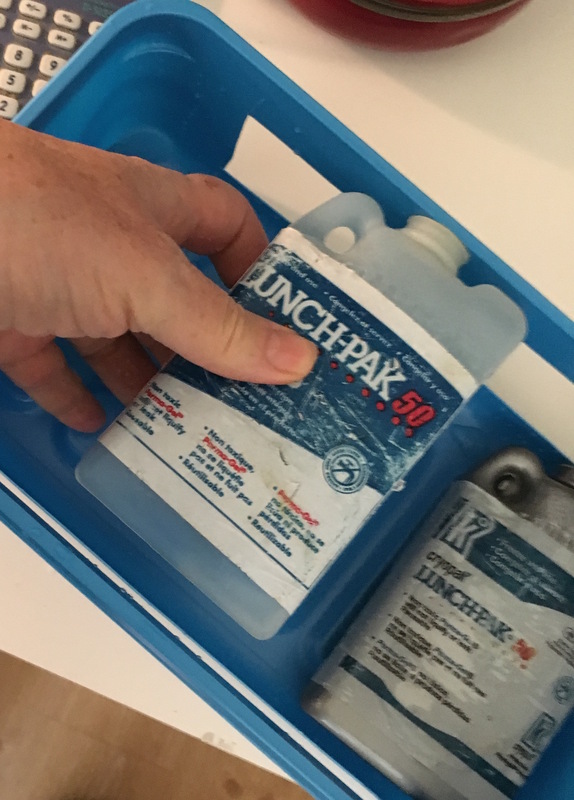 You know all those other blue ice block lunch things that you got in your case? Take one or two, pop them in a plastic bag (to protect against condensation) and put them in the foot of your bed. In England they used to use hot water bottles on a cold night to warm up the bed--and keep their tootsies warm as they fell asleep. There is no earthly reason not to reverse this...and cool your sheets and your self off with those handy dandy ice packs! Stay cool my friends. Its going to be a long hot summer. Cranking up the whole house AC all the time is going to cost you tons of money and is also going to accelerate global warming. These tips may seem silly, but honestly, my office area is cool from my home made eco cooler....and I find the rice bags friendly and soothing. Oh..you can refreeze the rice bags for a long time. Maybe a year?